What does it take to build a green infrastructure that improves everything from air quality to economic vitality? Landscape architect Arancha Muñoz-Criado knows the answer. As a government official in Spain, she helped to introduce green infrastructure into the planning process in the Valencia region. Read the article. 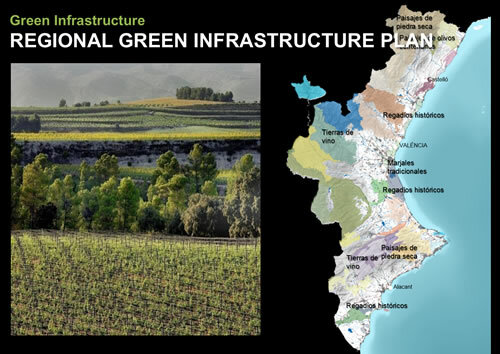 Wetlands, rivers, irrigation systems, and agricultural areas are included in the Valencia region’s green infrastructure plan. Map Tweets and other social media content from Instragram, Flickr, YouTube, and Webcams.travel by using the Public Information template available in ArcGIS Online. Read the tip. Los Angeles mayor Eric Garcetti unveils Los Angeles GeoHub, an online portal that contains the city’s location-based data and several ready-to-use web mapping apps. Read the article. Assume the role of a military intelligence analyst for an ArcGIS Lesson designed to stop rocket attacks on your military base. You will use geoprocessing tools in ArcGIS Pro to find patterns and locations related to the attacks. Take the ArcGIS Lesson. Where Was that Rocket Fired From? In his role as an intelligence analyst in the US Army Reserve, Esri’s John Berry used geoprocessing tools in ArcGIS to track where insurgents were firing rockets from in the Hindu Kush mountains of Afghanistan. Read the article. View five story maps that zero in on the Zika virus, documenting the threat from different aspects including how the disease spread around the world over time. See the Story Maps. When every second counts, law enforcement and first responders need accurate location data and reliable geographic intelligence. A new course teaches fundamental GIS concepts and ArcGIS skills for public safety workflows. Register for the course today. From helping people locate polling places to assisting political candidates in targeting voters, intelligent mapping can play a big role in election and political processes. Read the blog. The Texas General Land Office’s collection of maps goes back 500 years. The latest is the Energy Map of Texas, complemented by an interactive version created using the Esri Story Map Journal app. View the Energy Map of Texas. Read the article in Medium. Register for the Esri Petroleum Summit. Get incredible new apps such as Drone2Map for ArcGIS and awesome visualization capabilities like vector tiles in the new ArcGIS 10.4 release. Read the blog. Learn more. Esri’s David Cardella answers 10 questions from GIS users about developing apps with the ArcGIS platform. He shares some great advice with app builders. Watch the video. Use ArcGIS Full Motion Video to analyze video data collected by drones, unmanned aerial vehicles, unmanned aircraft systems, and video cameras. Read the blog. Learn more. Eliminate error-prone paper workflows! Esri will host the live training seminar, Modernize Your Field Workflows Using Collector for ArcGIS, on March 31, 2016. Take the seminar. What is a location strategy for real estate (or any other industry for that matter), and why do you need one? Read the article. 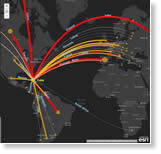 President Obama’s scheduled visit to Cuba this month puts a focus on Cuban trade, the topic of this story map that Esri created with partner Datamyne. Read the blog. View the story map. ZenoCollector is an all-in-one data collection solution that combines Esri’s Collector for ArcGIS app with Leica’s Zeno 20 device. Order today. The Esri Story Map Cascade app, which will be released later this year, was used to create this riveting story about the Syrian civil war and the plight of Syrian refugees fleeing that country. View the story map. 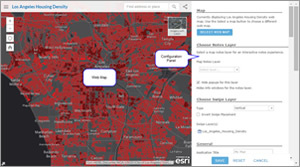 Esri Story Map apps are commonly used to create tours of places or communicate information about major local, national, or global issues. However, story maps also can be used to deliver annual reports, develop interactive resumes, and much more. Read the blog.